Yesterday saw the start of the British Urban Film Festival 2018 which has been my go-to event in London for nearly a decade. It is always a pleasure to catch up with the great and the good of independent, diverse cinema. 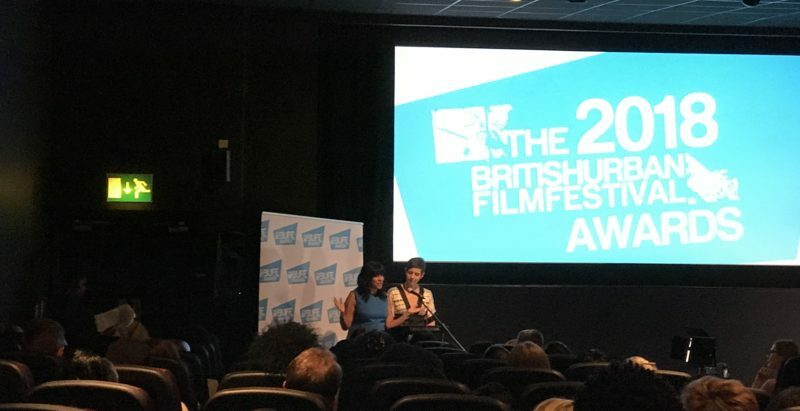 This year saw the BUFF Awards 2018 being held at the Genesis Cinema in East London. A mecca for anyone who wants to bathe in its long and deep cinema history as well as catch movies way beyond most distributors reach. It was a great way to start the festival as I assume once the glamour of the awards is out of the way then you can concentrate on showing great films for the rest of the week. And great films were mentions with my highlight from last year ‘Free In Deed’ starting David Harewood picking up a few awards including Best Actor. Best Actress for Edwina Finley in the same film as well as the Best Feature and ‘We Are Moses’ picking up the Best Short Film award as well as many others. This year sees BUFF become film producers as well as its ‘BUFF Originals’ title ‘No Shade’. This puts BUFF in a similar vein to the work of Sundance to help encourage and nurture new talent on and off the screen and provide a creative well beyond the festivals screening program. Amma Asante was also in attendance to receive the BUFF Honorary Recipient award. So all in all talent new and established were awarded reminding us all that there is no time like the present to go out there and make your voice heard in the world of movies.